All across the country, prevention advocates are picking up their game, pushing our nation forward as we work to create a coherent system of prevention that emphasizes community health and wellness. In California, May 29 marked the 10th ENACT Day, a day when Californians make their case for legislation and policy change that promotes health, prevention and wellness. This year, members of the Strategic Alliance for Healthy Eating and Activity Environments went all out to make ENACT Day a big success—and we did! 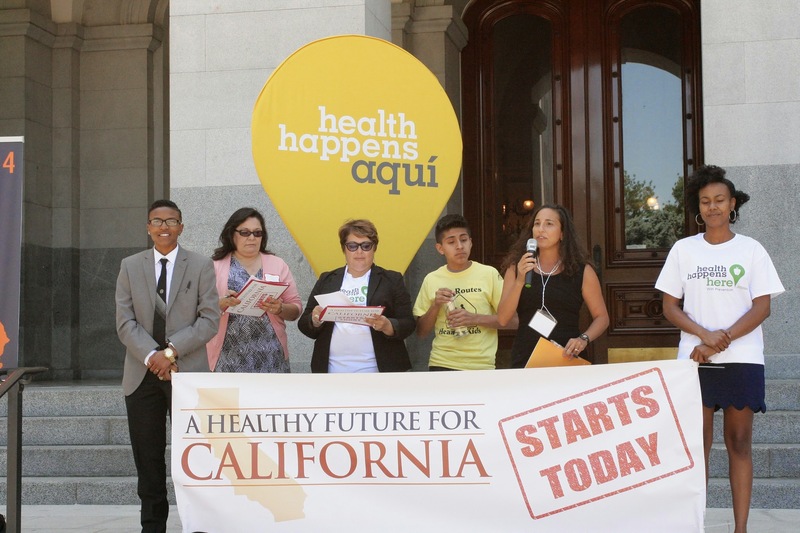 ENACT Day 2014 brought almost 200 California health advocates to the Capitol building. These advocates represented over 50 cities and towns and conducted 40 scheduled visits and 80 drop-ins with legislators or their aides. Back home, e-advocates sent 1098 letters in support of four bills pending before the state legislature. Our advocacy helped tip the balance on one: Senate Bill 1000, which would require warning labels on sugar-sweetened beverages, passed the Senate and headed to the Assembly. Some ENACT Day participants came to the Capitol, other joined the effort online—and engaged in a lively discussion on Twitter. Take a look at some of the highlights. Join us on June 23 at 10AM PT to learn how six new funding opportunities from the Centers for Disease Control and Prevention may benefit health and equity in your communities. Register for the webinar here. This webinar is co-sponsored by the American Public Health Association. Here’s an example of a state initiative (and one that’s close to our hearts). This platform for prevention - released on ENACT Day - outlines key priorities and recommendations to make California a healthier, safer and more equitable state. Prevention Institute has stood with New York City in its effort to limit the size of sodas. Check out this statement from our colleagues and us.